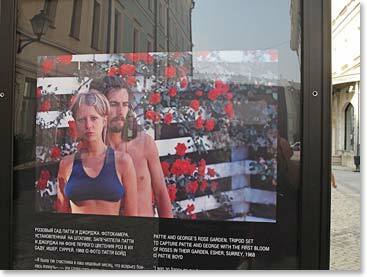 In our final days and hours in Russia July 27 – 29th we spoke frequently about what rich and full days we’d shared since Chet flew into St. Petersburg on July 16th. Russia is always full of surprises: the people, the landscapes, the mountains and the cities are bigger and more diverse and complex than anyone could imagine before seeing it firsthand. Each day was it’s own adventure. In one sense the time “flew by”, but in another the depth of our experiences here make us feel that we have been in Russia for months. 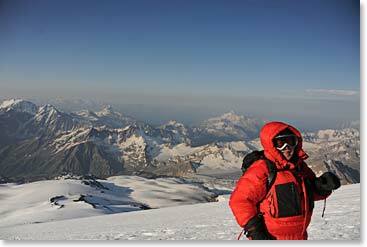 When we were turned back on the saddle of Mount Elbrus in the whiteout a few days ago, Chet’s comment was “well, guess I will just have to come back.” There was no disappointment in his voice as he considered this prospect, but rather there was enthusiasm for more adventure, learning and challenge in a future trip to Russia. Russians love getting away to the mountains. 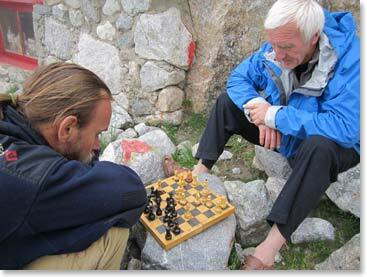 These two fellows enjoyed a long game of chess in the sunlit mountain meadow outside our cabin at 10,000 feet. 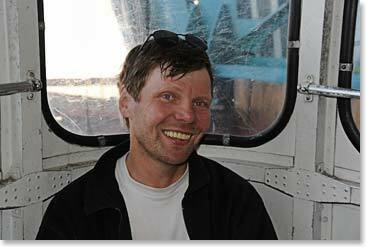 Vladimir, mountain guide, photographer, literary and cultural critic of modern day Russia, was an engaging and inspiring companion throughout our trip. 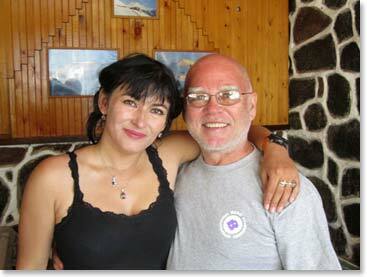 Less than 24 hours from our highpoint of 17,500 feet on Elbrus, Karina and Chet smile for a photo at a hotel where we stopped for breakfast. A few hours later we were out on the main road at our favorite place to stop for refreshments. 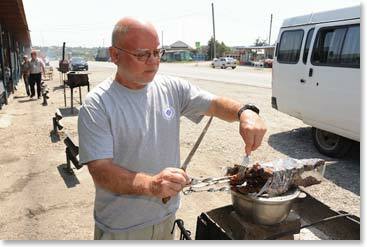 With a surgeon’s skilled hands Chet inspects the cuts of lamb on the grill. 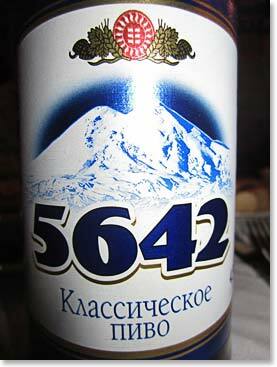 One of the many excellent local beers that we have tried is name “5624”, for the elevation in meters of Mount Elbrus. 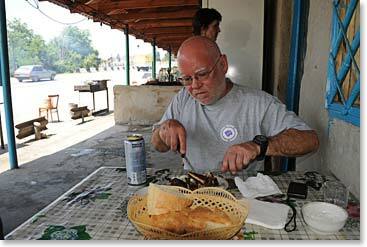 The lamb passed the test and Chet sat down to enjoy lunch. 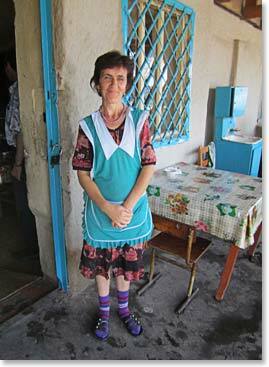 After lunch it was time to say goodbye to the ladies who run our favorite roadside stop in the Caucasus. 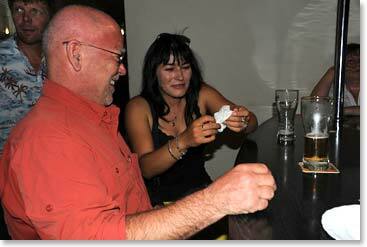 We’ve made three stops here during our trip and we have been warmly received each time. 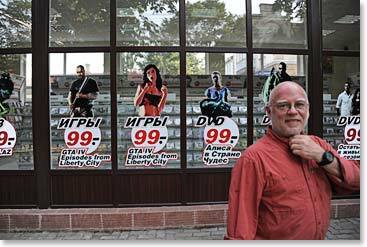 Back in the city of Pyatigorsk, we went strolling on the street and visited an entertainment store. Chet was looking for CD’s by his favorite group, “Muse” or for a DVD of the film version of the Russian classic “The Master and Margarita”. They had neither, but Karina bought oldies collections by Elton John and Joe Cocker. We were still telling jokes right to the end of this trip. Back at the hotel Karina told us her version of the one piece of paper joke. On the 28th we arrived back in the glitz of Moscow. 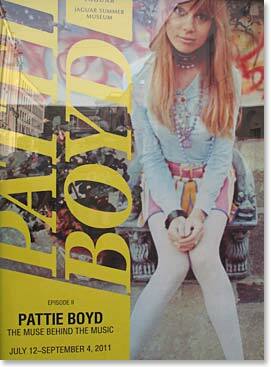 The 60’s British supermodel Pattie Boyd, the woman about whom Eric Clapton wrote “Layla” had visited a few days earlier and her photographs of 60’s rock icons were displayed on a street near our hotel. We sometimes think that Lenin must be rolling over in his mausoleum at Red Square after it closes at night. Who could have imagined the changes coming to Moscow. 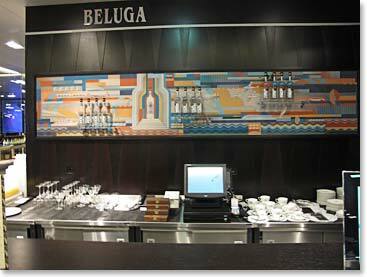 In an upscale supermarket across the street, shoppers enjoy shots of Beluga Vodka during breaks from their consumerism. 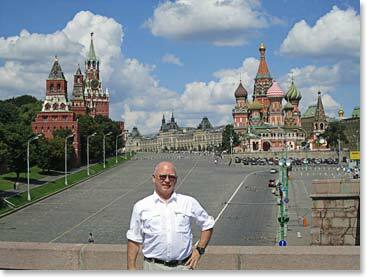 We were there, part I. Chet at Red Square. We were there, part 2. 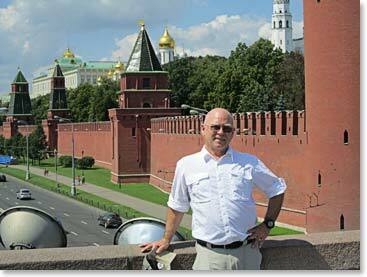 Chet at the Kremlin.